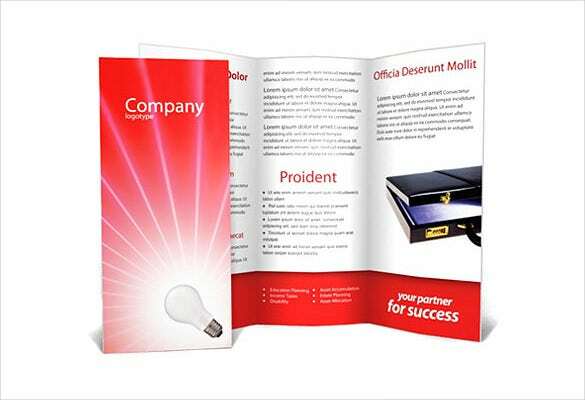 Brochures are extremely handy for all kinds of businesses. 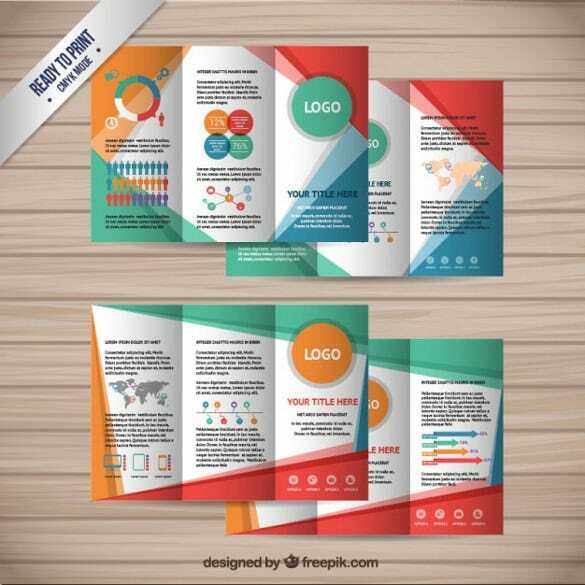 From using brochures for marketing and sales to distributing hotel brochures, business houses and service providers across the globe require brochures. 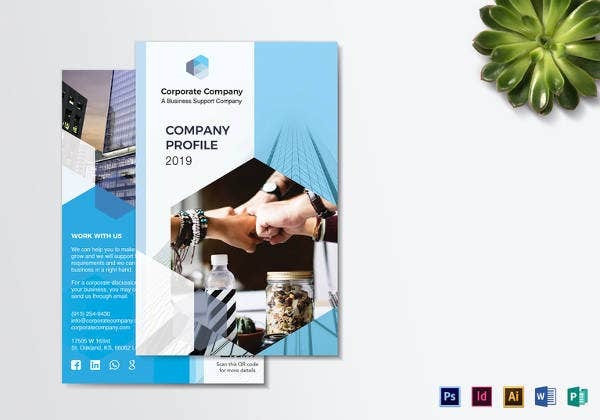 Free Brochures Templates are a great way for clients to learn about the company, the brand, the products and other important details. 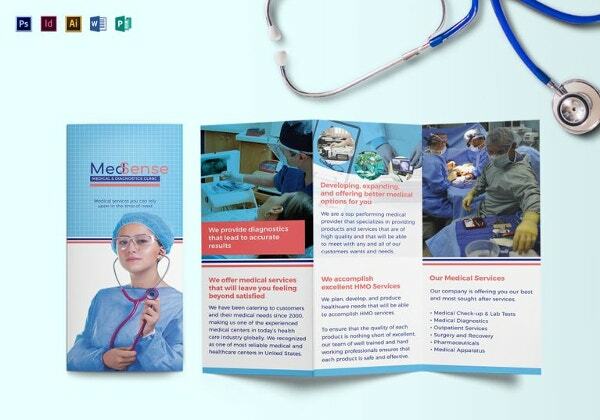 Brochures can also be used for informative and educative purposes. 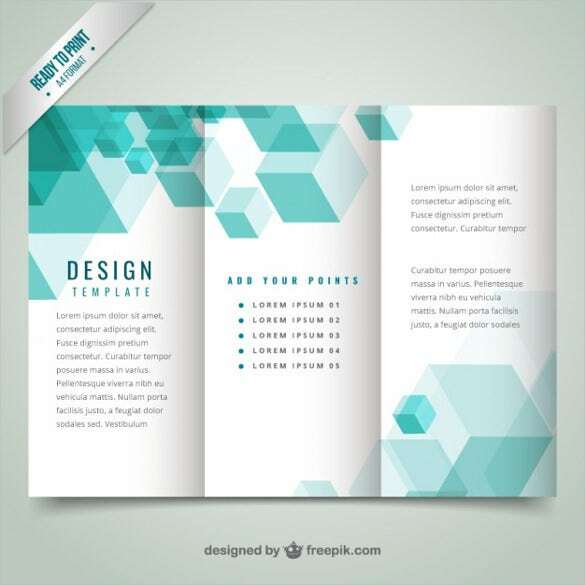 Every time a company or individual wants to design and print brochures, they need to run to the printers. 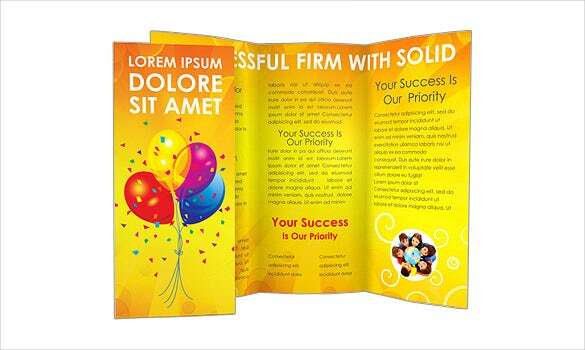 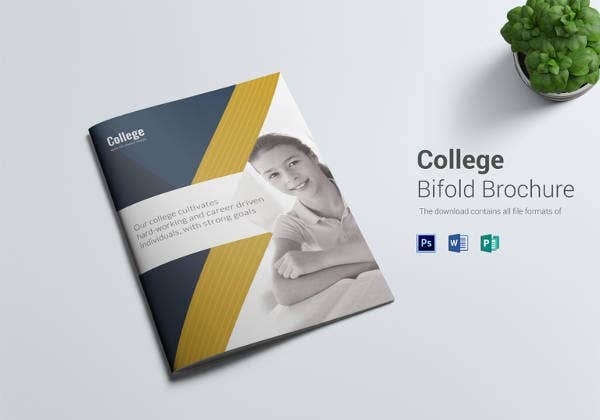 The designing and printing of Bi Fold brochure Template can be an extremely expensive ordeal. 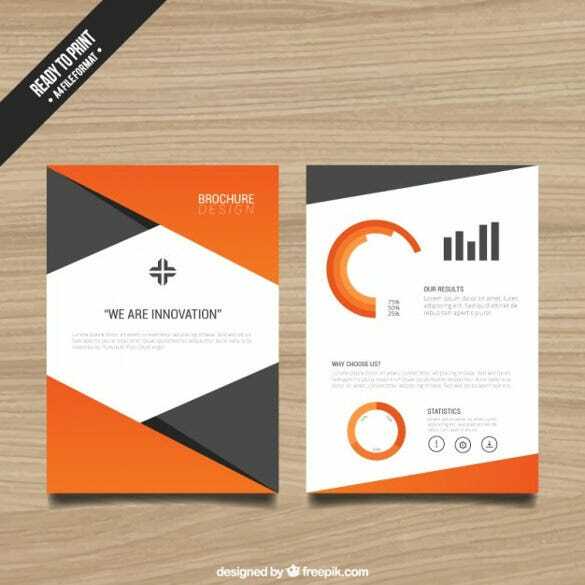 Particularly in the cases of those companies or organisations that constantly required new, improved and updated versions of the templates. 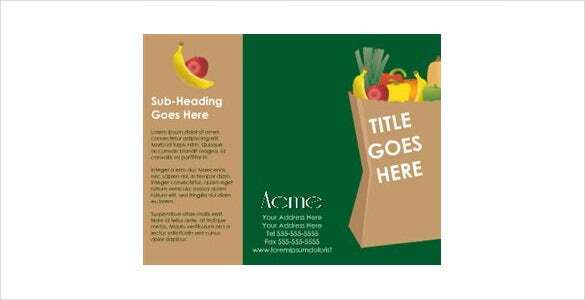 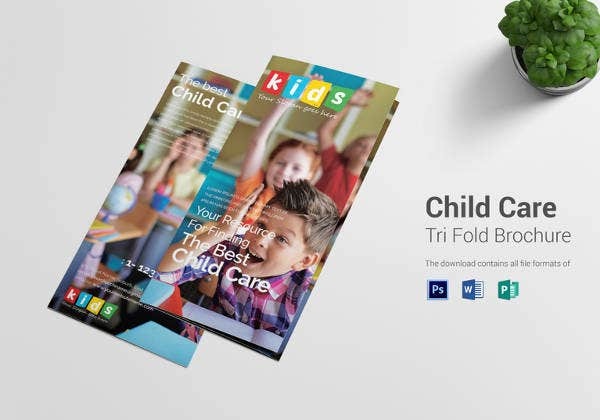 Thus in the case of the free brochure templates, they can be updated and edited as per the requirements of the user without any charges and fees. 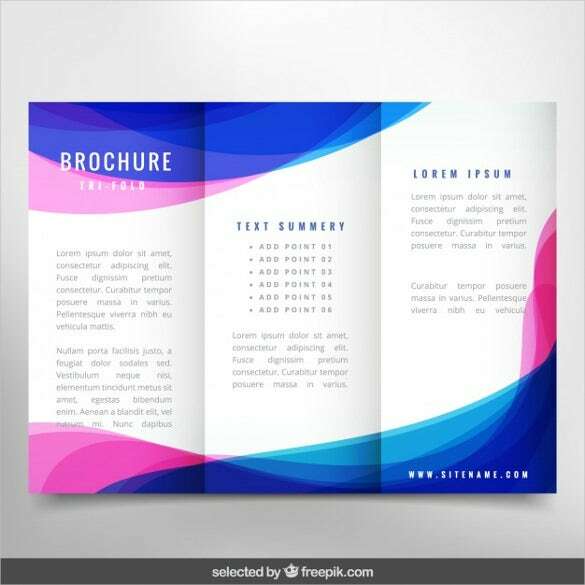 Additionally, there are so many varieties of free brochures available for use that the user does not have to get a designer to specially get one drawn up. 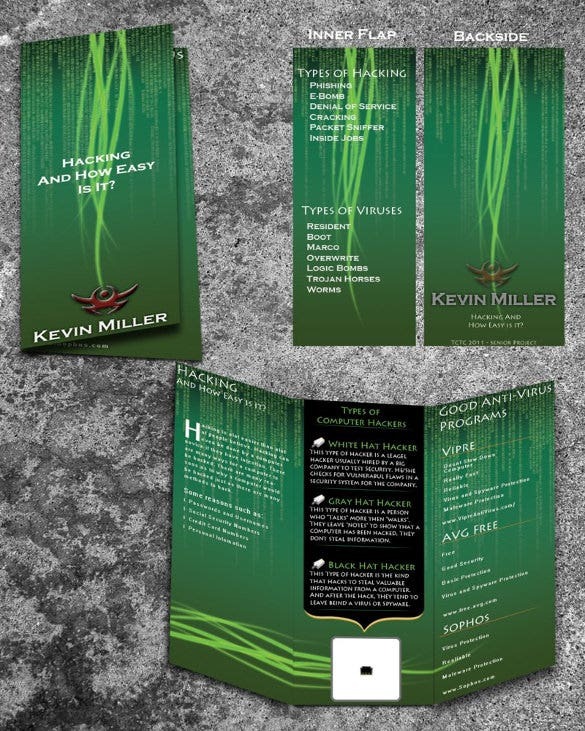 Besides the above mentioned brochures, there are several other kinds of brochures available. 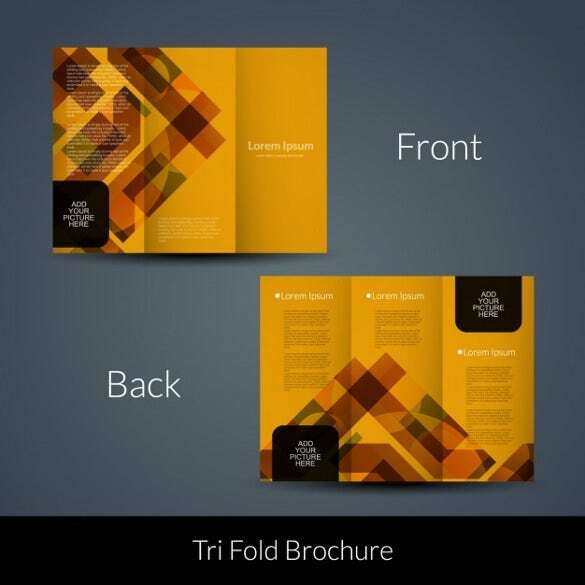 The brochures are also available in a variety of shapes and sizes. 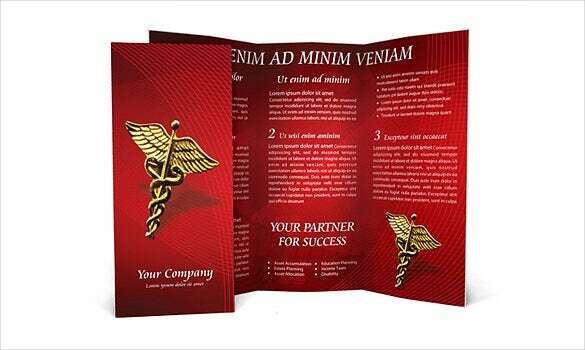 Some of the brochures are A3 size, others are A4 size, some have a bi-fold, others can be folded thrice and so on. 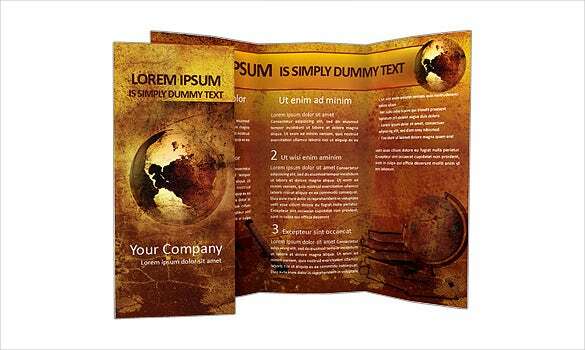 The free brochure templates are extremely beneficial. 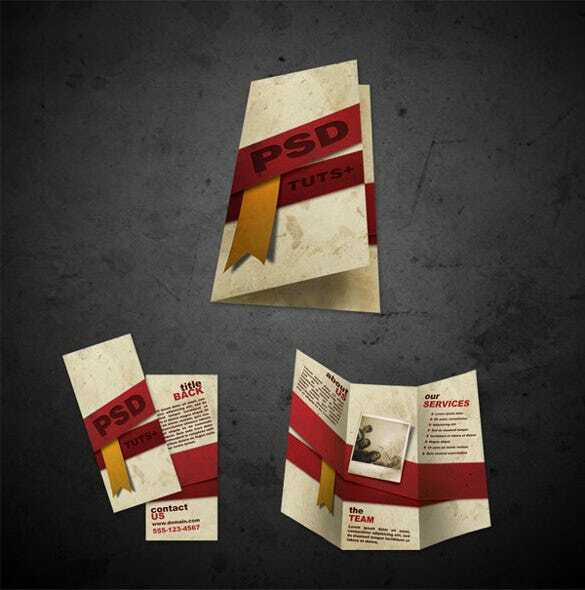 They allow the user to make his own edits and changes without being dependent on a professional designer. 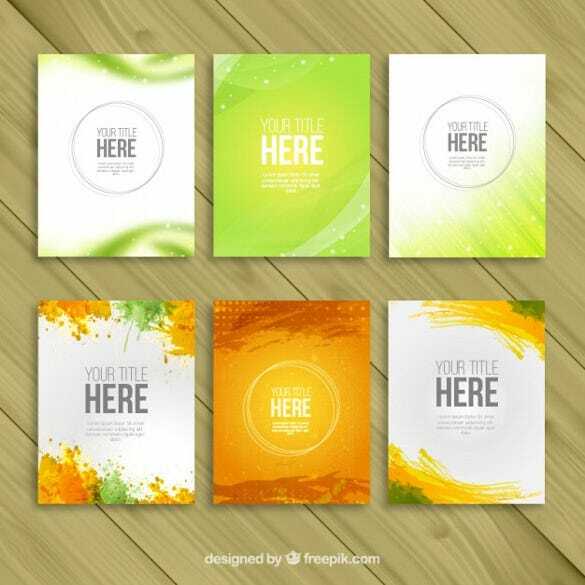 Additionally they are free of cost, easy to download and can be re-used too. 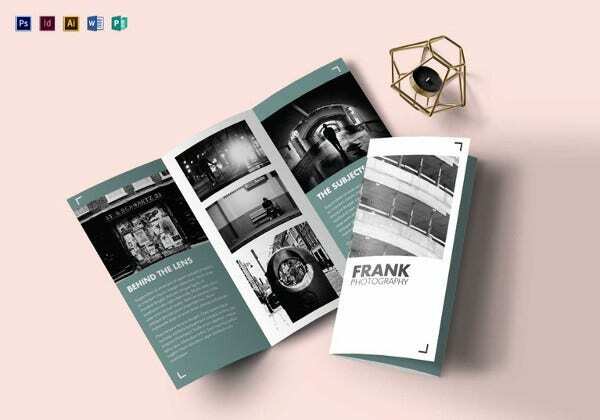 The fact that the user himself is re-designing and editing the brochures, he can easily printable brochure a bunch of samples to see which one is the most captivating and elegant. 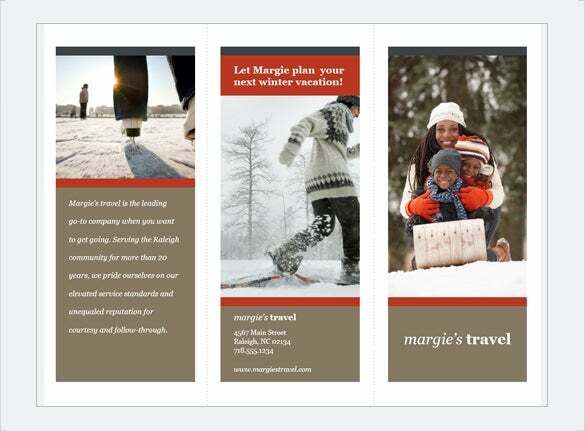 Another reason that the brochures are beneficial is because they save time of the user. 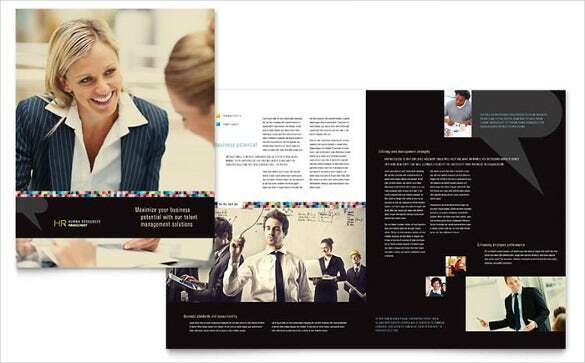 The user does not need to spend hours on end with designers and printers trying to get the perfect brochure printed. 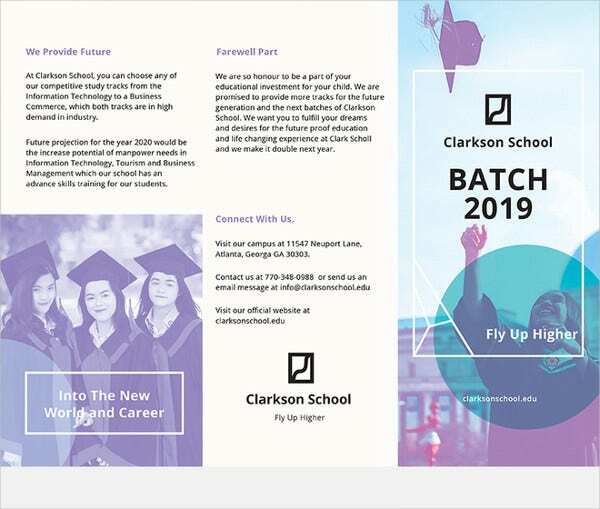 Editing the brochures is a very simple process. 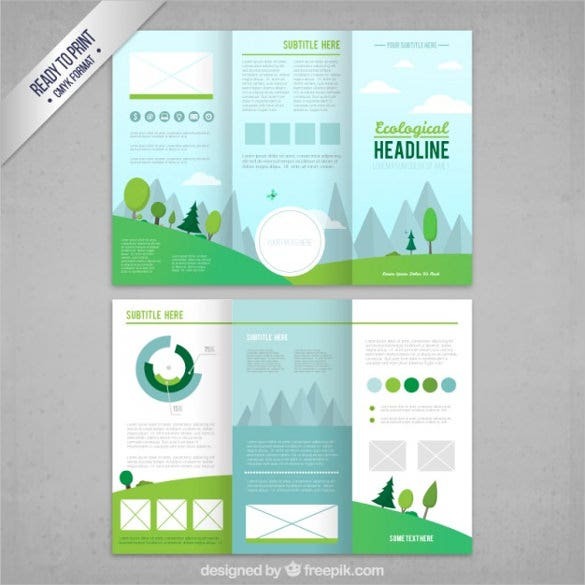 Once you have downloaded the templates, open them on any professional editing programs. 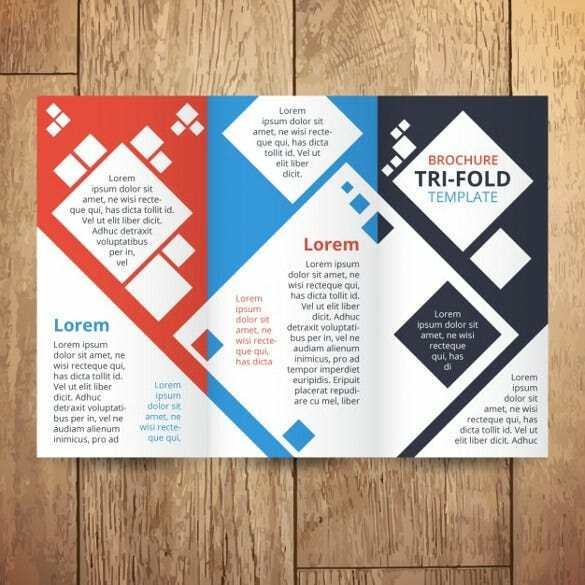 Some of the programs that the templates are compatible with include Apple iWork pages, Microsoft Office, CorelDraw, Adobe InDesign and several others. 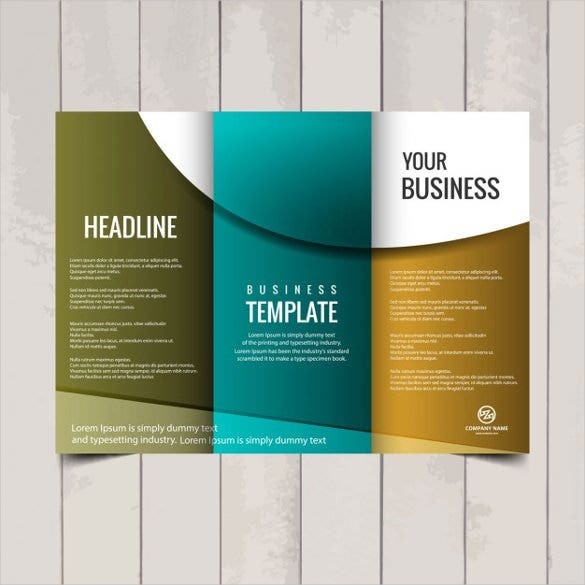 Once you have opened the template on the editing program, you can begin to add the text that is relevant to your business, product or service. 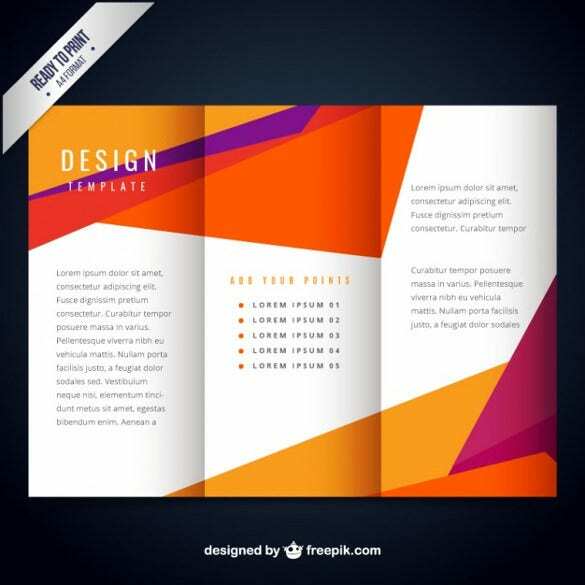 You can even add photos and picture to the templates. 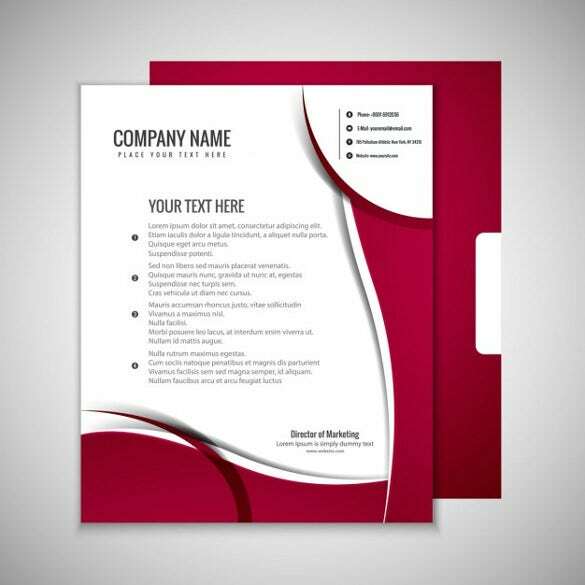 Besides this, the company logo, name, company address and other details. 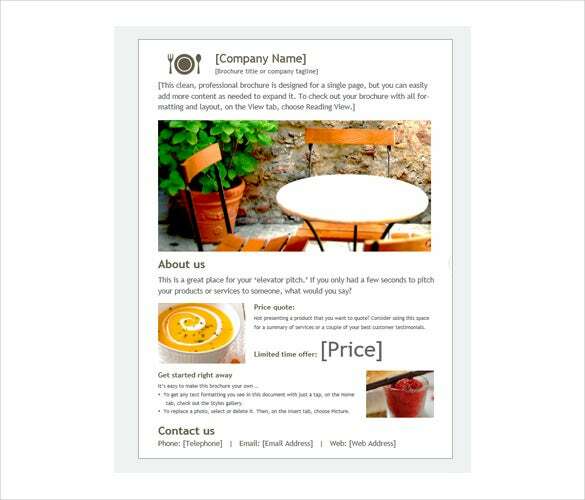 The text font of the template can also be changed to suit your requirements. 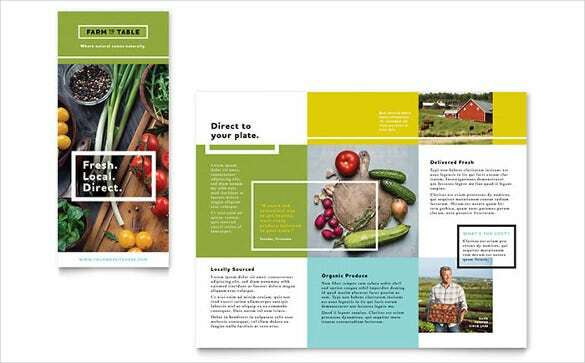 As far as printing out the free brochure templates is concerned, it is best that the user prints them on a laser printer. 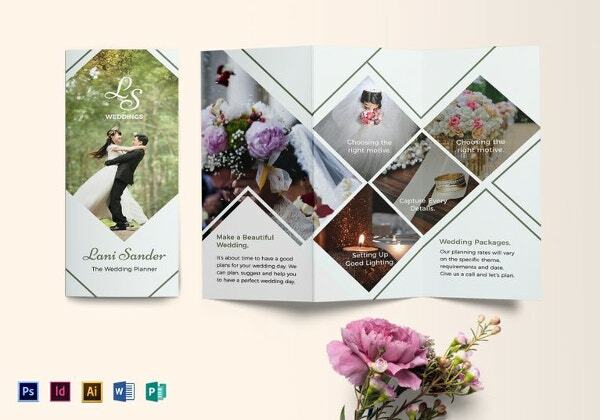 If you use a printer that’s of low quality, the brochures will also come out in a bleak and hazy quality. 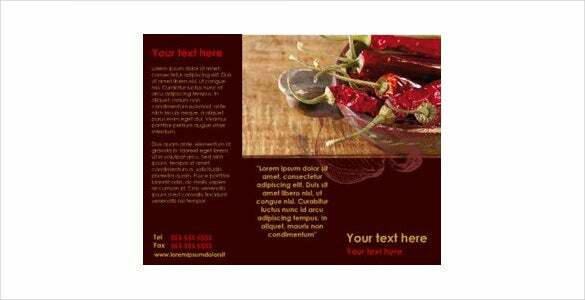 For best results, sharp prints, clear font and photos, a laser printer is highly recommended. 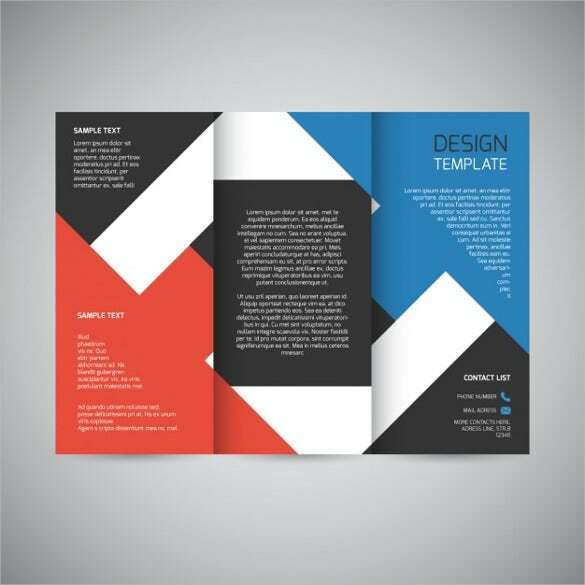 Even the paper you use should be of excellent quality, a low quality paper will make the brochure look terrible. 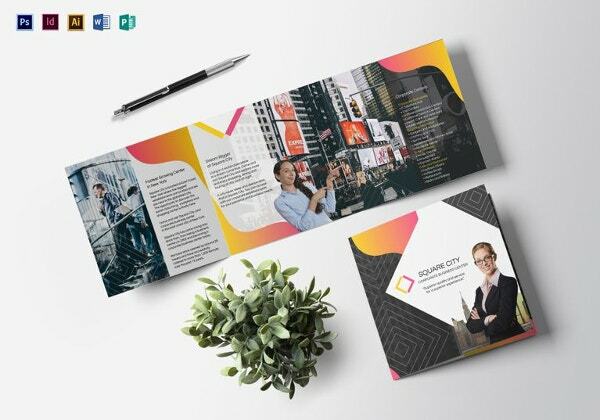 If you’re wondering how to hand out the brochures to prospective clients and customers, there are two ways it can be done. 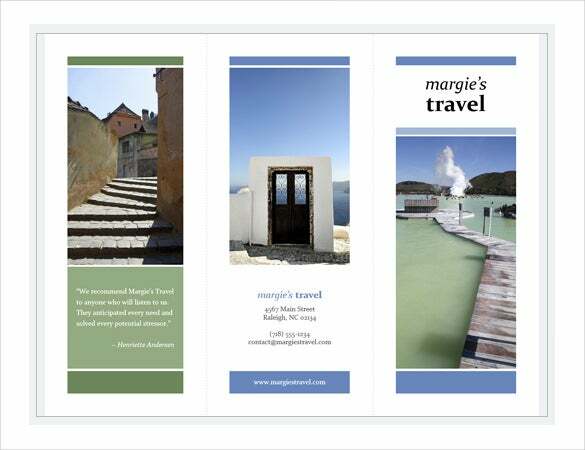 First and foremost the brochures once finalised have to be printed. 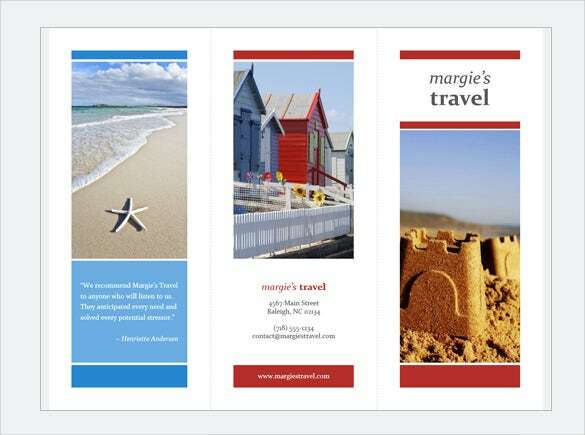 The printed brochures can be mailed to prospective clients or they can be distributed at trade shows, conventions, kiosks and other public shows and events. 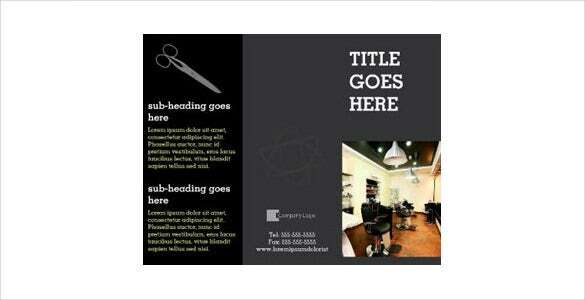 The second way to distribute the brochures is to email them to prospective clients and customers. 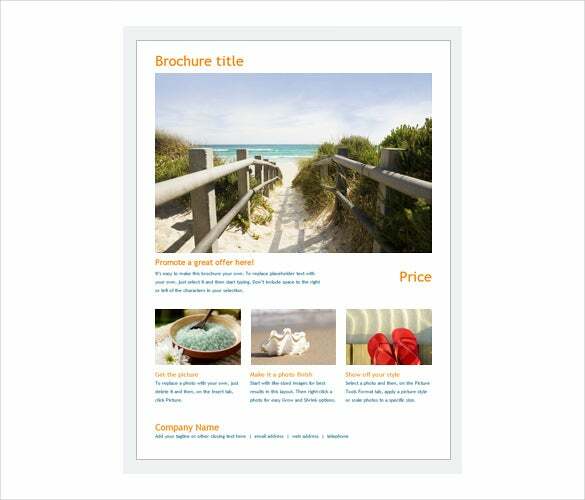 Emailing the brochures is an economically and environmentally friendly plan. 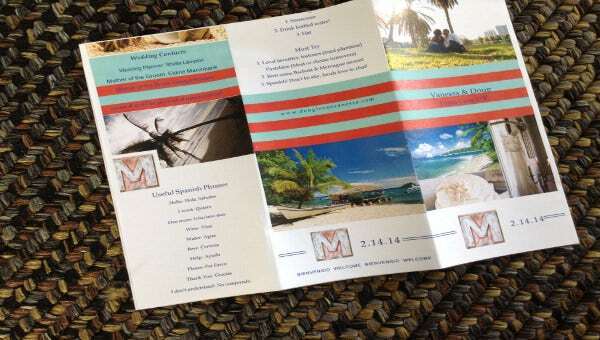 The user can save tons of money and paper emailing the brochures instead of printing them. 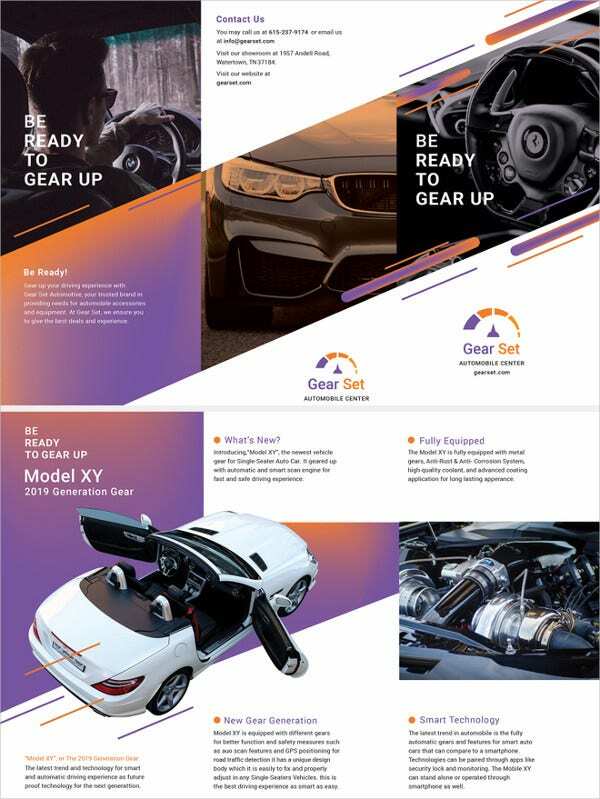 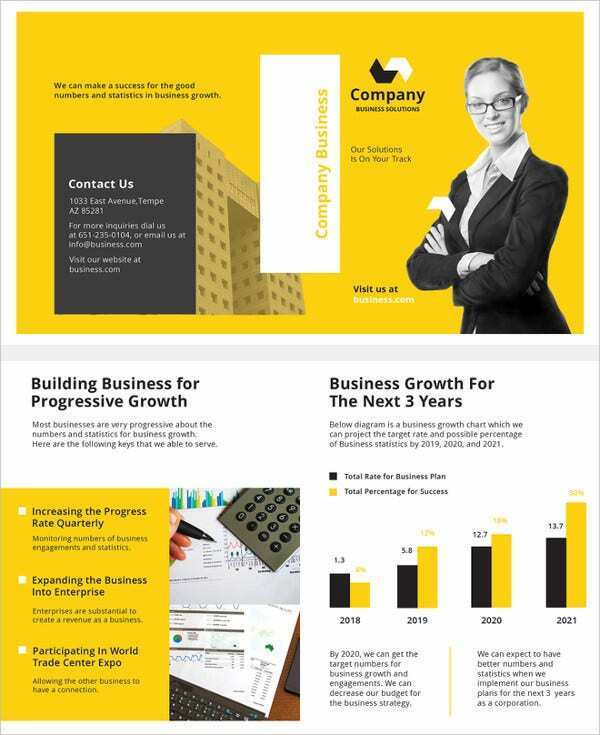 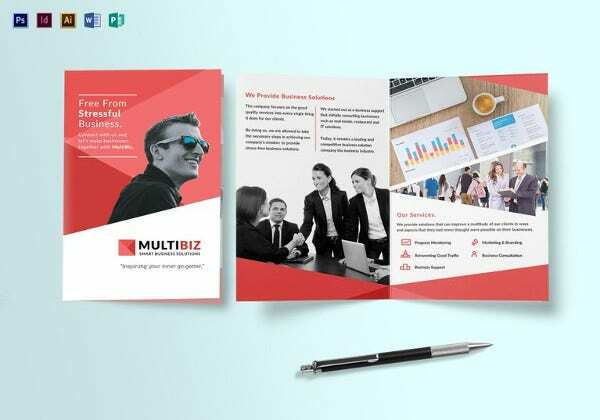 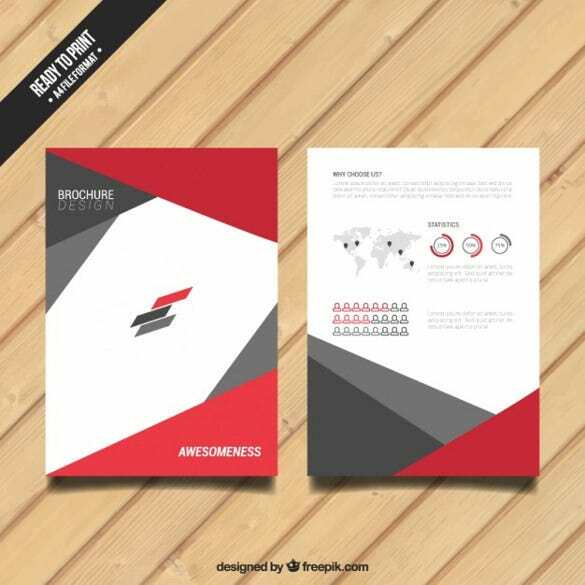 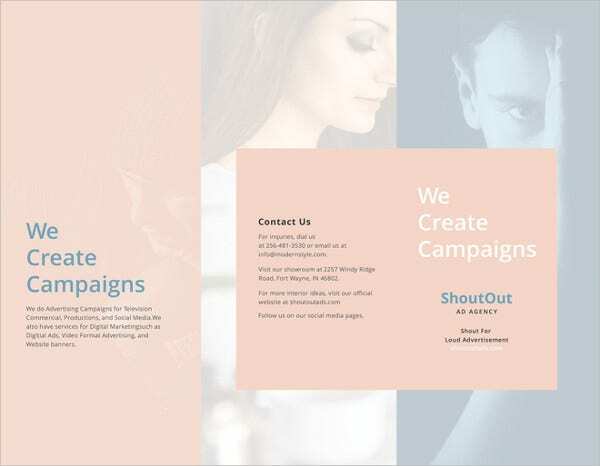 Besides the above mentioned organisations and individuals, tons of other people too can use these wonderful crafted and professional looking free brochure templates. 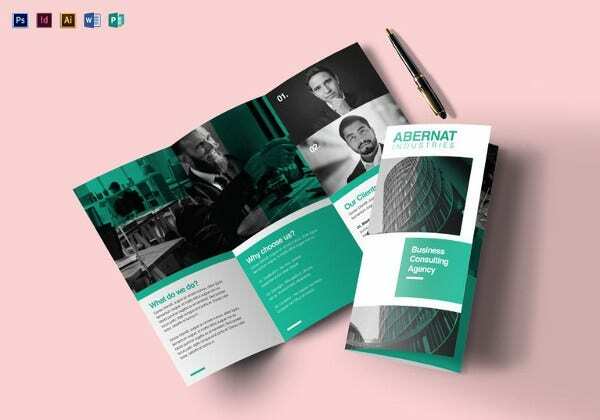 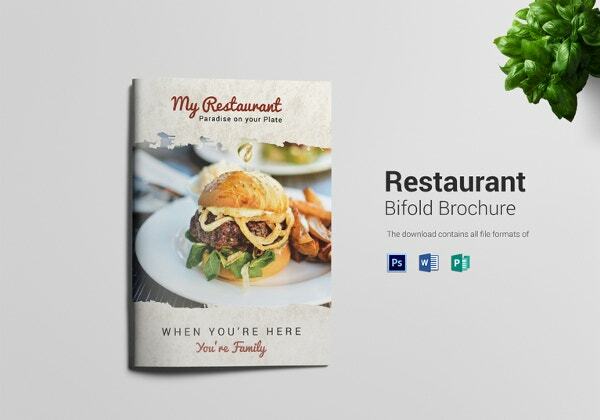 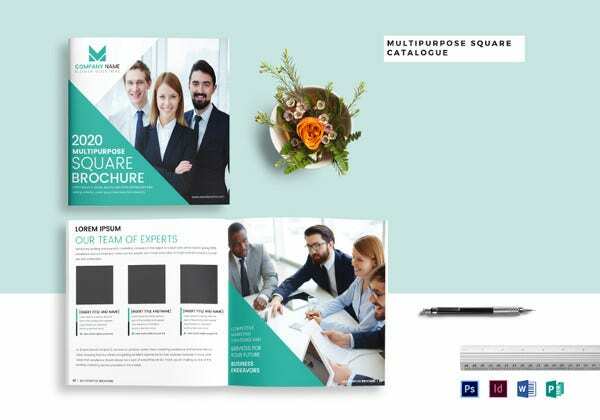 Due to the fact that there are so many varieties of brochure templates to choose from, you don’t want to end up choosing one that’s not appropriate for your business. 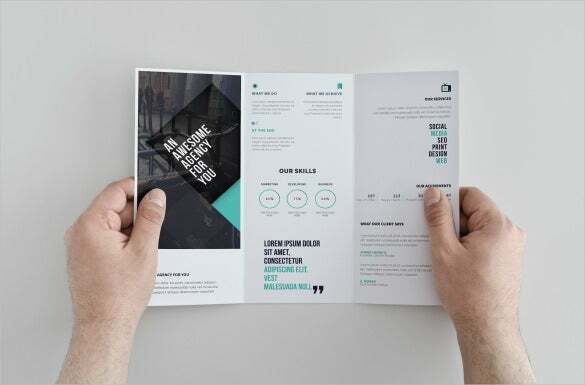 For instance, if you have an adventure gaming business, you want to select a brochure that’s exceptionally vibrant, captivating and fun. 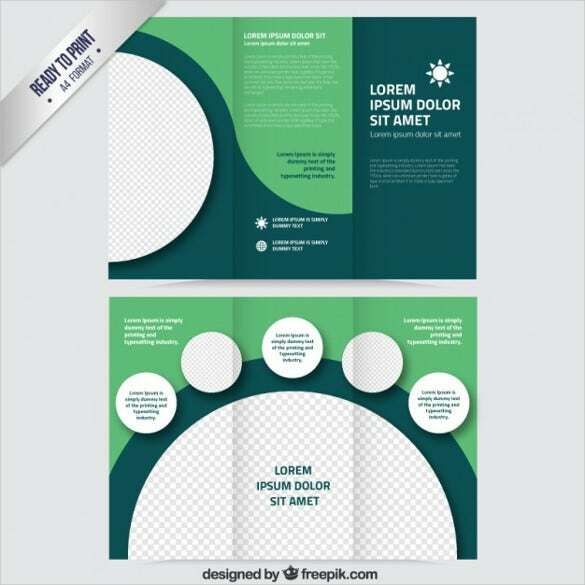 On the other hand if you are creating awareness about animal welfare or social welfare causes, you need to select a brochure that is less loud and showy and more simple and elegant. 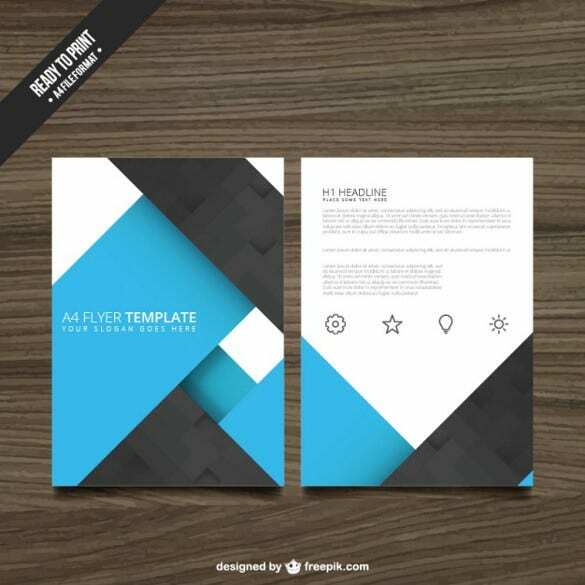 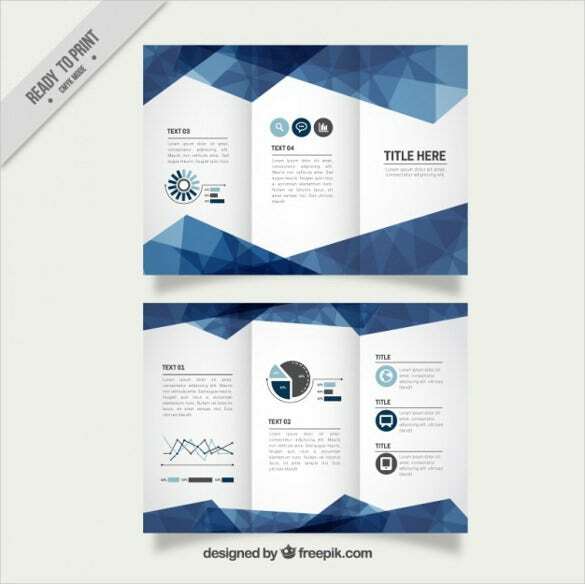 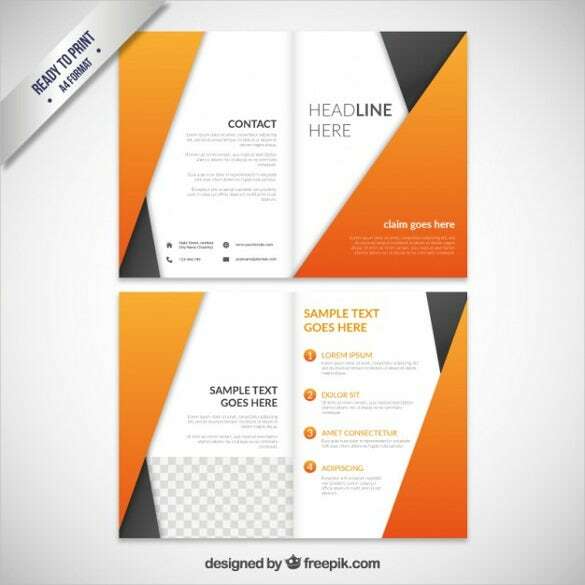 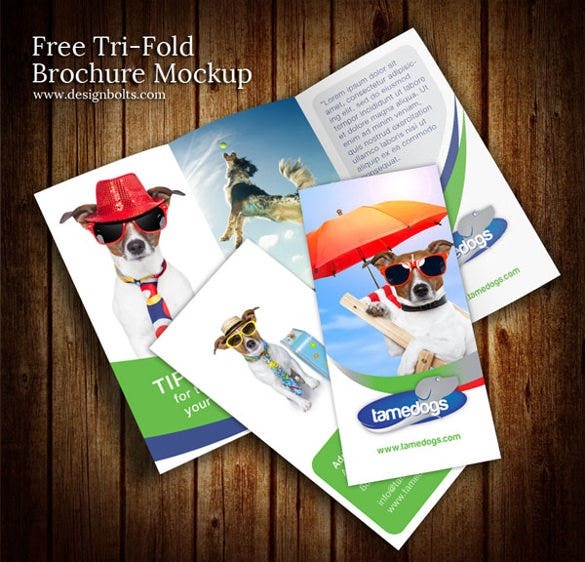 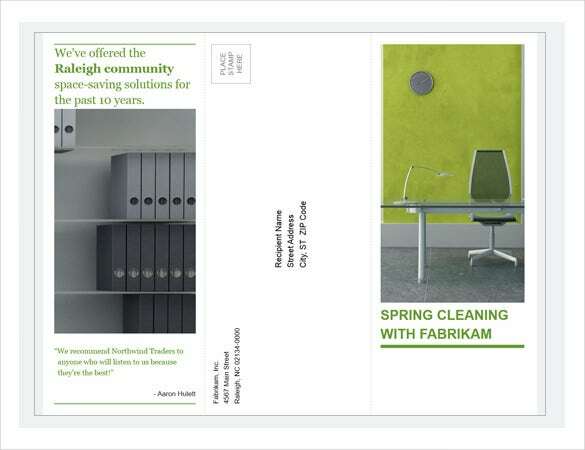 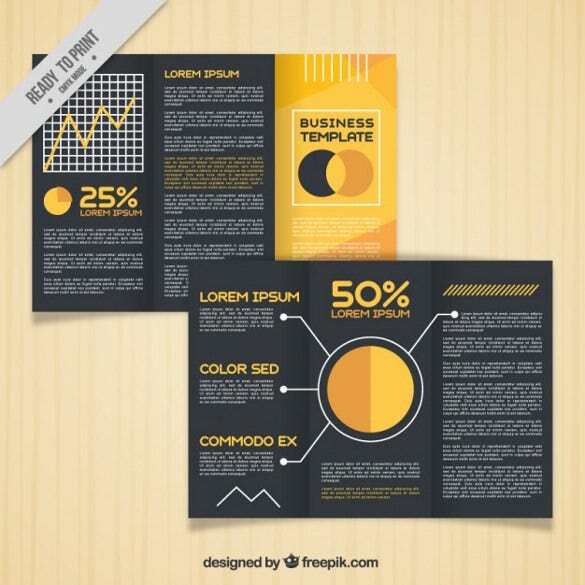 All in all, the free brochure templates are exceptionally handy and useful. 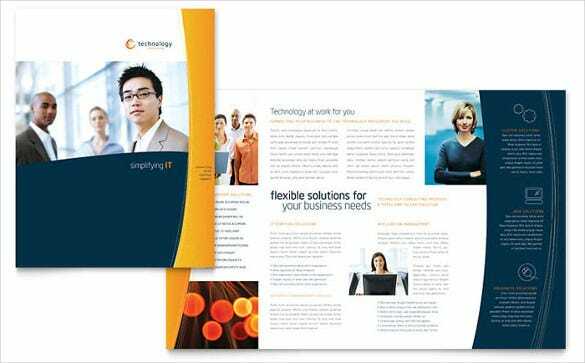 They can be used by all types of organisations, companies and individuals. 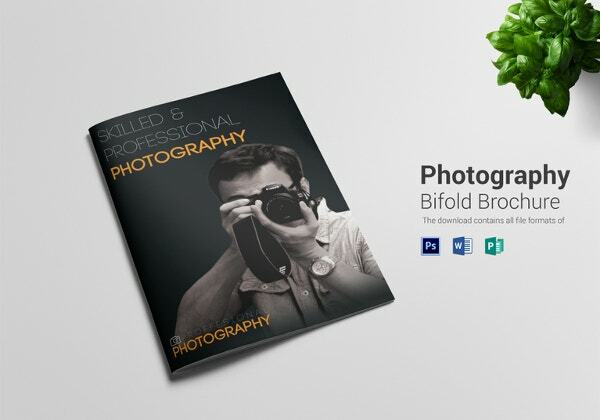 They are easy to download, an absolute must have and can really help in increasing your business. 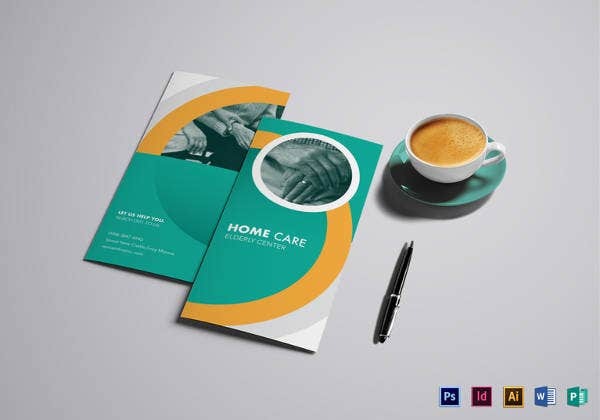 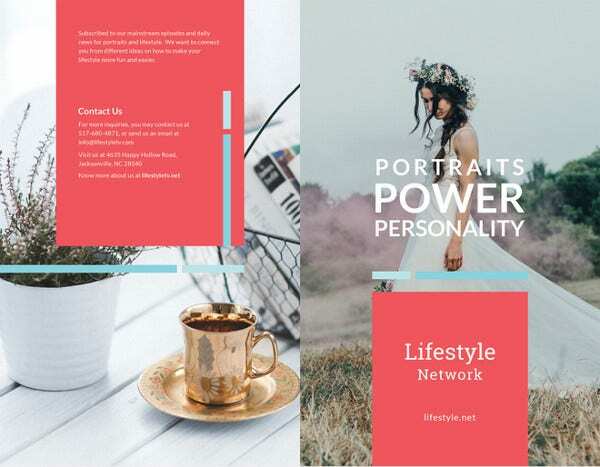 With the help of these brochures, anyone can be play the role of a professional designer and printer and can complete making the brochures without spending tons of money and wasting countless hours. 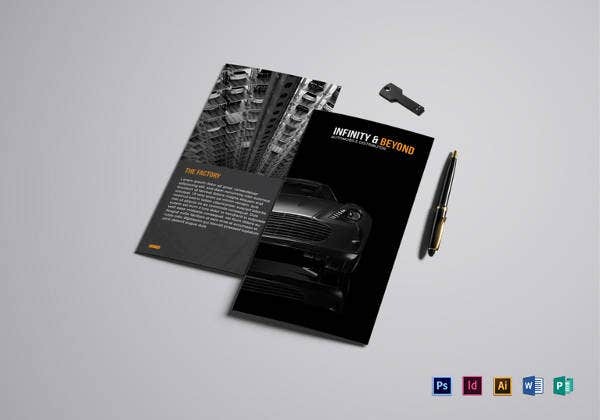 Now no more hunting for printers and designers, just download the template of your choice, Edit it as per your requirements and print or email the brochures to clients and customers.